The Corner Perk was one of our favorite clients. Together we created a consistent brand portfolio for use across print, web, merchandise, menus, and packaging. 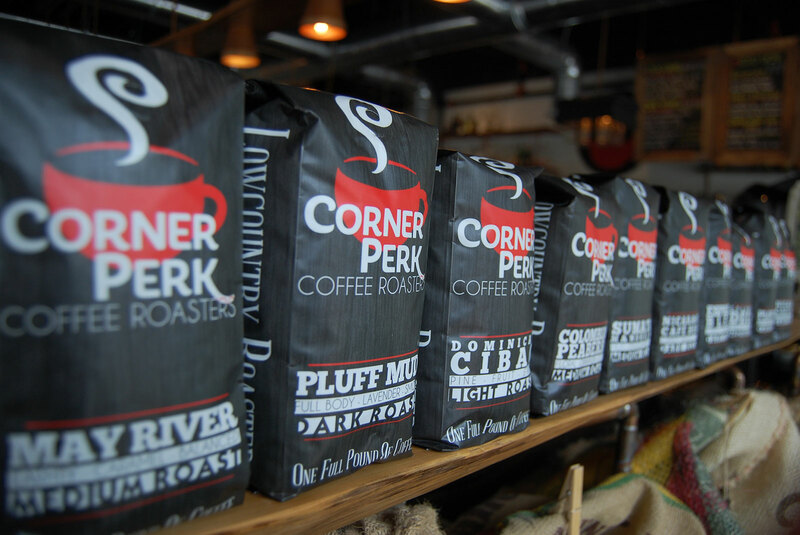 One of our favorite projects was creating custom packaging for Corner Perk Coffee Roasters. 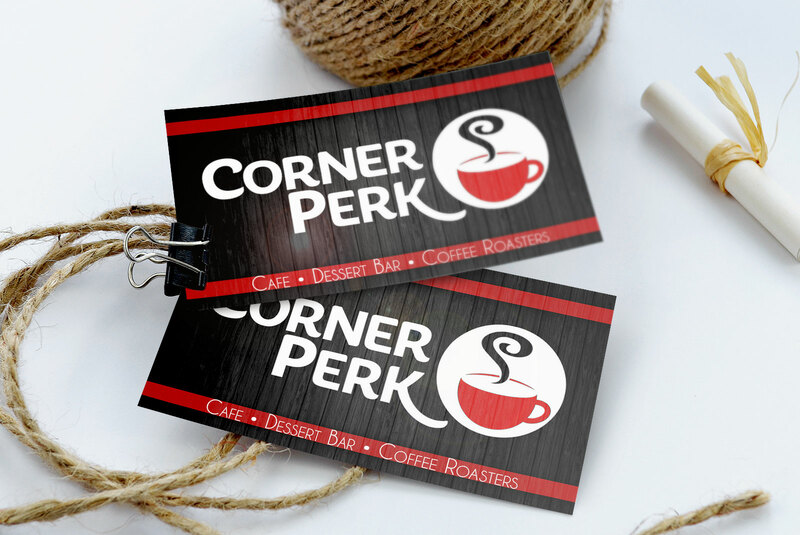 The Corner Perk gift cards were designed with branding in mind. We had spent so much time creating the right look and feel to communicated the cafe's welcoming atmosphere, and so the gift cards were meant to incorporate that. These coffee bags incorporated all of the elements of the Corner Perk brand portfolio in a glossy finished product that felt like it could compete with major coffee brands. 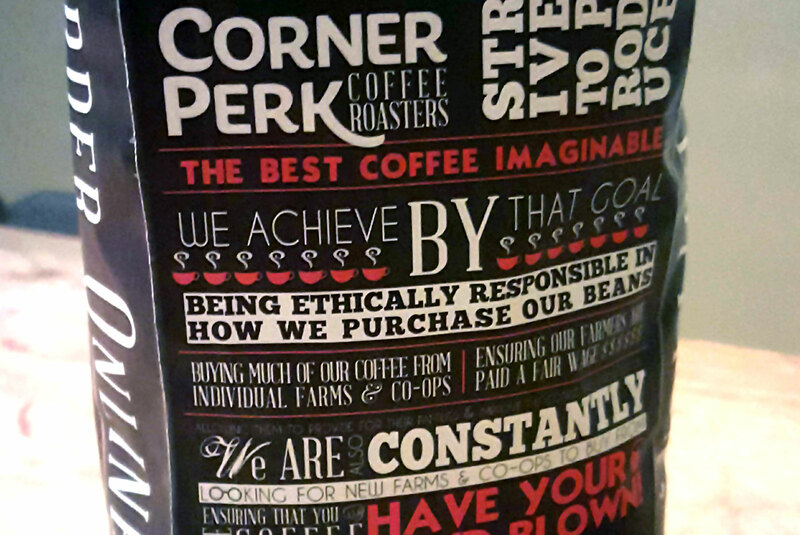 Each roast also had it's own title design that icorporated the name, roast strength, and flavor key words. The roasting team had a story to tell. With coffee that good, they had the right to brag, and so they did. But a simple paragraph just would not do. So we designed the back of the bags using the branded typography to brag in style. It always amazes me how good coffee can inspire creativity. Prints ads were the bulk of the Corner Perk project. 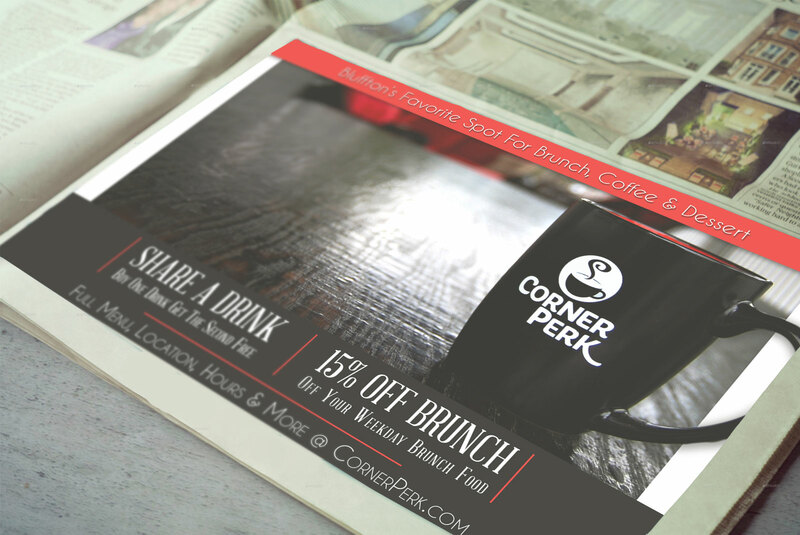 With so many great local publications and an avid readership, the Corner Perk wanted to take advantage and stand out amidst all of the other ads. This was achieved time and time again with simple striking imagery, minimal text, and brief calls to action. This allowed for multiple ad campaigns to be instantly recognizable and to cut through all of the other visual noise on the page.